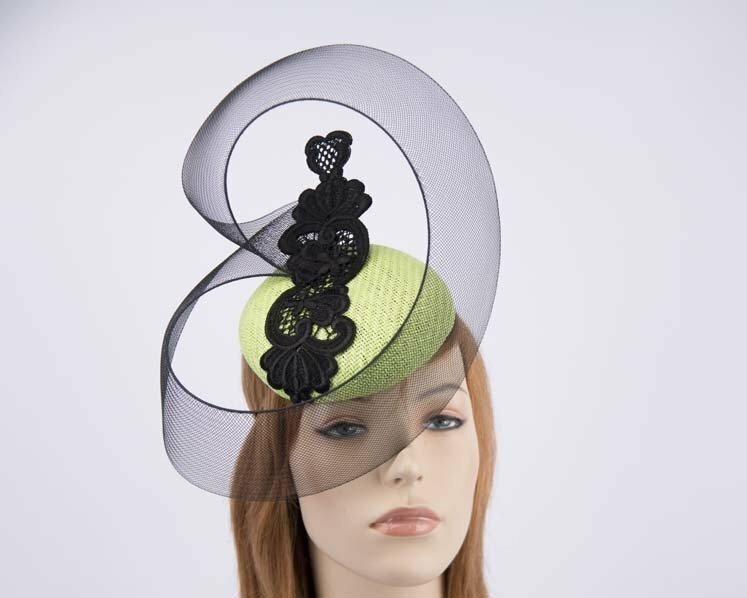 Beautiful bright lime pillbox with unusual black ornament and lace. This fascinator hat is hand made in Melbourne and will be an excellent choice for your Melbourne Cup racing outfit or for any special occasion. This pillbox has an elastic band for better fit.